This is one of those places that you’ll either love or hate. There’s no in-between. If you can disregard the tacky souvenir stalls and shady guys trying to sell you fake handbags or fake African souvenirs and focus just on the mind-blowing architecture of this place you’ll be fine. Otherwise you might go away feeling disappointed and bitter that you wasted your time/money on something that looks better in the photos than in the real life. But that’s the harsh reality of many famous landmarks around the world nowadays. But let’s get back to the basics. Pisa was a powerful merchant/naval republic in the Middle Ages. Its rise to the power happened before Florence became the major player in Tuscany. When you’ve got loads of money, you have to flaunt it, right? So the people of Pisa decided to built something extraordinary to show off their wealth and hence the magnificent Piazza dei Miracoli. Piazza dei Miracoli (Field of Miracles) is a UNESCO World Heritage Site site near the center of Pisa and as the name says it’s a rather large field with 4 magnificent edifices. There’s the Baptistery (the first building you can see on the field), the Cathedral, the Leaning Tower and the Monumental Cemetery (Camposanto). There are also two museums: the Sinopias Museum (Museo delle Sinopie) and the Cathedral Museum (Museo dell’Opera del Duomo). The name Piazza dei Miracoli wasn’t given at the time of the construction of the entire site but it’s a rather recent invention. An Italian poet Gabriele d’Annunzio named it as such at the beginning of the 20th century. It’s dedicated to St.John the Baptist and it’s the largest baptistery in Italy. It’s also one of the oldest since it’s construction began in the mid 12th century. 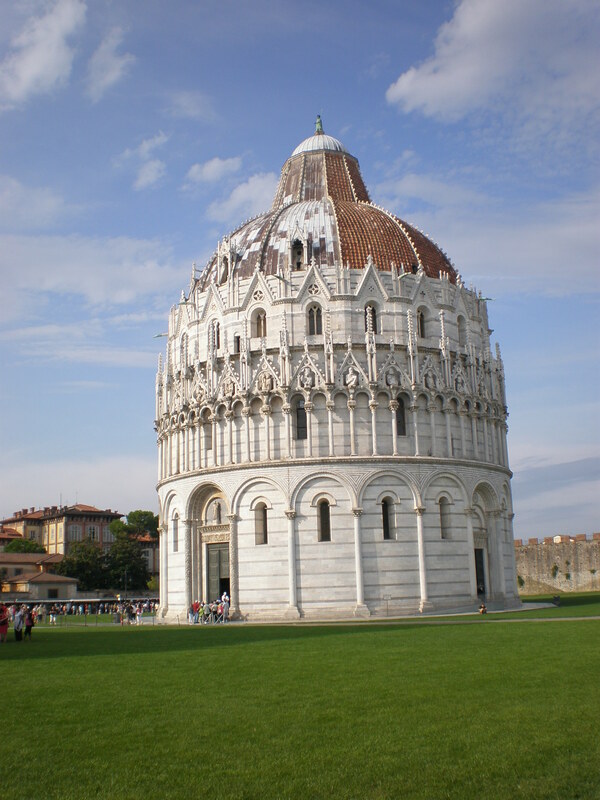 As all the other buildings of the Field of Miracles, the baptistery is built in Pisan Romanesque style but it’s got some Gothic elements such as the dome. Its pulpit was sculpted by Nicola Pisano and dated 1260 which is considered to be the beginning of the Italian Renaissance. This is the only building that I’ve only seen from the outside. I wasn’t that interested to pay an entry fee. It’s dedicated to St. Mary of the Assumption. Its construction began in the 11th century. 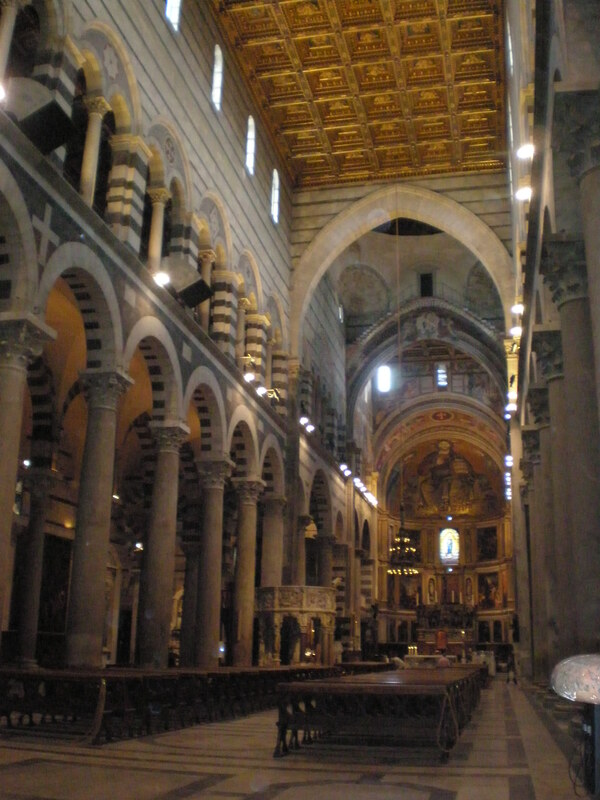 There are several Byzantine elements to its Pisan Romanesque style of architecture. Many notable masters and artists worked on the cathedral. 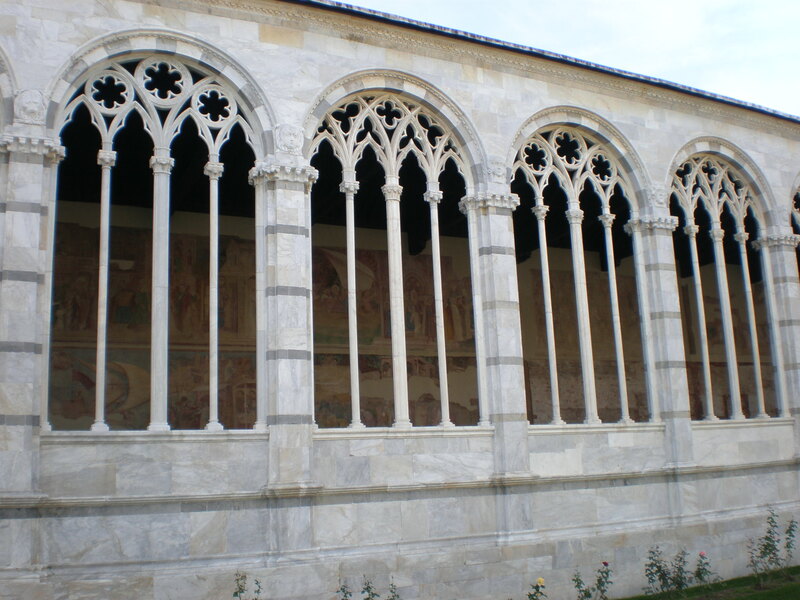 The bones of Pisa’s patron saint St.Ranieri are in the cathedral as well as the tomb of the Holy Roman Emperor Henry VII and the Pope Gregory VIII. Cathedral’s interior is very beautiful and definitely worth a visit. I was lucky and got in for free because it was some religious holiday. Probably the most famous tower in the world The Leaning Tower of Pisa is just a church tower (campanile or freestanding bell tower). Its construction began in 1173 and lasted for almost 200 years. It was believed to have been built by Bonnano Pisano but newer studies name a different architect. The tower began to tilt during its construction phase because the ground under it is too soft to support the tower’s weight. Over the time the tilt increased until the tower was stabilized in the late 20th and early 21th century. The tower is almost 60 m high and it leans 4 degrees now. 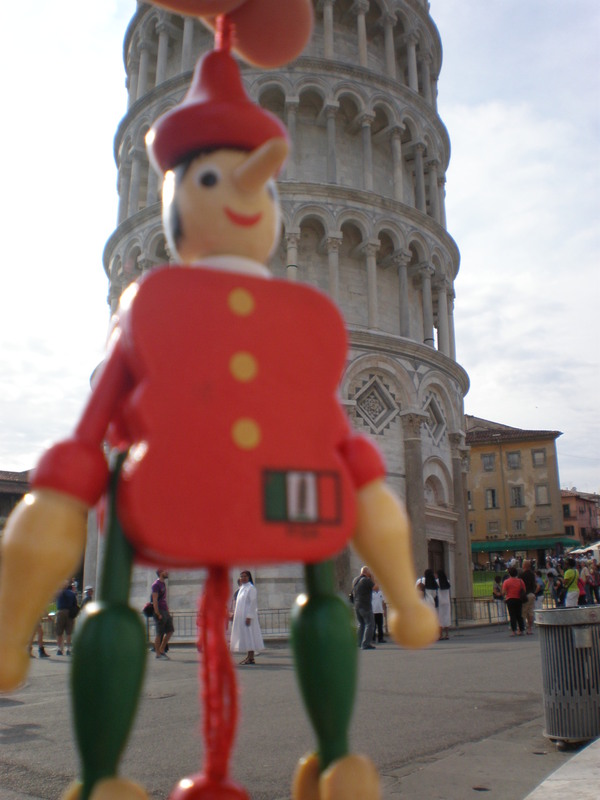 Of course, you’ll take your photo with the Leaning Tower as if you’re holding it up or pushing it over. 🙂 But should you pay the expensive ticket to climb it? In my opinion it’s not really worth it. I’ve done it and I wasn’t as pleased with the view from the top as I was from the other towers in Tuscany (e.g Giotto’s tower in Florence and the tower in Siena). There are 296 steps to the top of the Tower. The climb itself isn’t a big deal. At the top you get a pretty view of the other buildings of the Field of Miracles but you don’t get a nice view of Pisa. Also, your visit only lasts 30 mins which includes going up and down. I paid 15 euros when I visited it in 2011. It’s even more expensive now. It’s a walled cemetery that was supposedly built on the sacred soil from Calvary brought to Pisa by the crusaders. 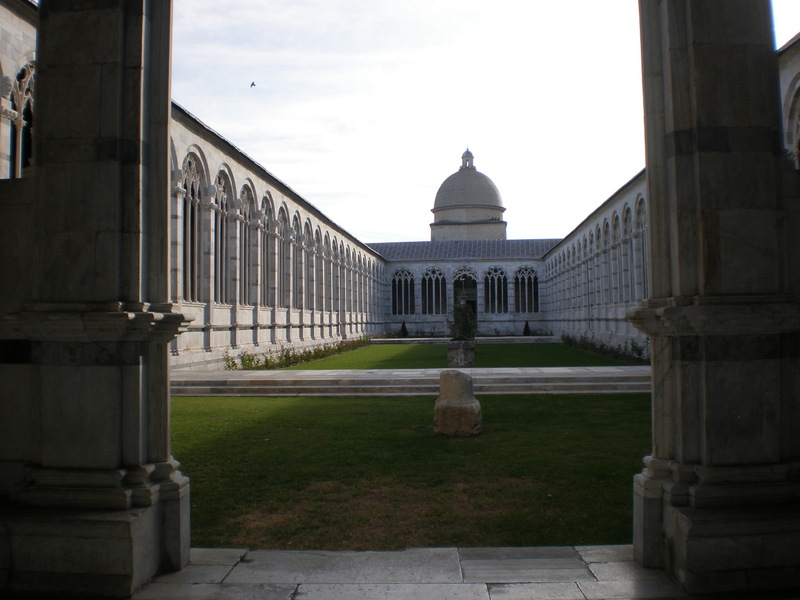 The building of this Gothic cloister like edifice began in the 13th century but it was only finished in the 15th century. There are tombs and Roman sculptures and sarcophagi. The walls were once covered in stunning frescoes but they were destroyed by Allied bombs in WWII. Unlike other places on the Field of Miracles this one was crowd free and there was even a sense of peace and tranquility within its ancient walls. I definitely recommend to visit it. 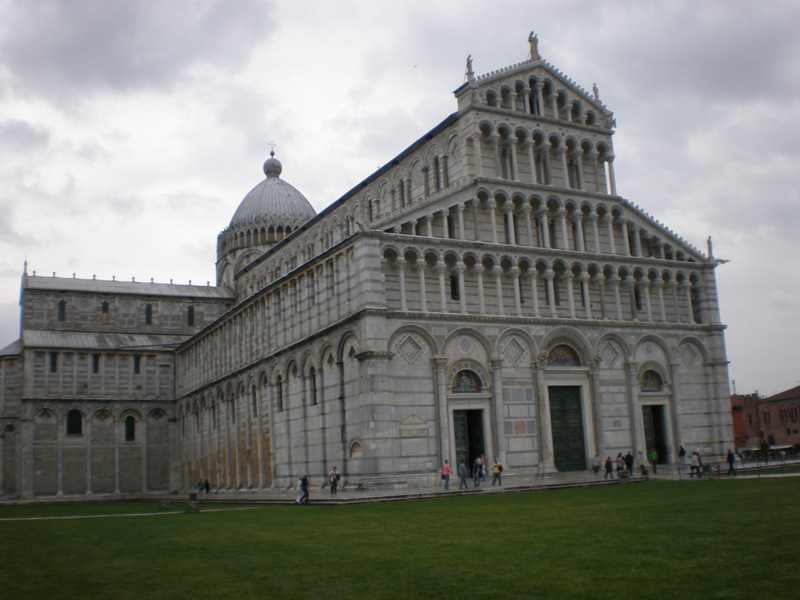 Should you visit the Field of Miracles in Pisa? No! And Yes! Why No? If you’re staying in Florence and want to do one or two day trips (or half-day trips) then choose Siena or Lucca or do a wine tour or visit the olive oil farm rather than going to see the Leaning Tower of Pisa. Why Yes? Because it’s stunning! You only need 2 hours to see everything at the Field of Miracles. 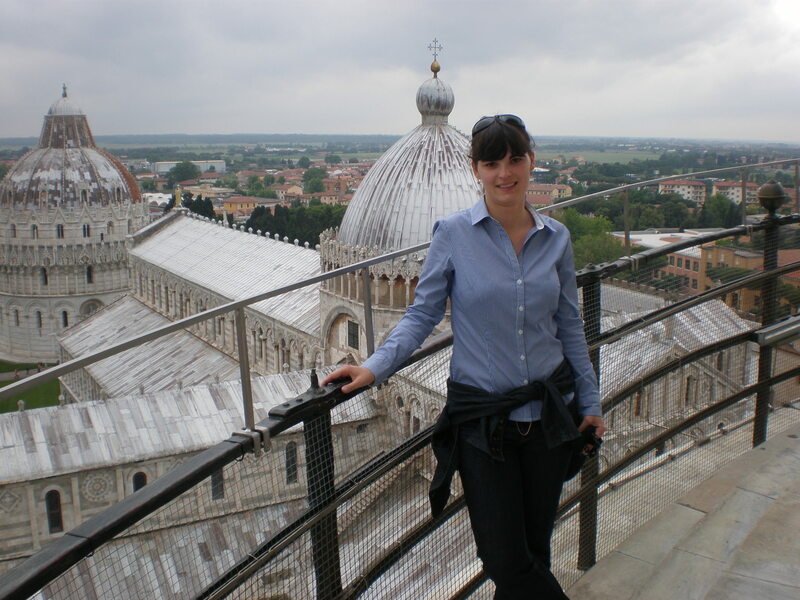 My advice is to see the town of Pisa as well. Actually, I was at the Field of Miracles twice but that’s another story:) Once is more than enough, I should have used the other visit to see Pisa properly. So have you been to Pisa? 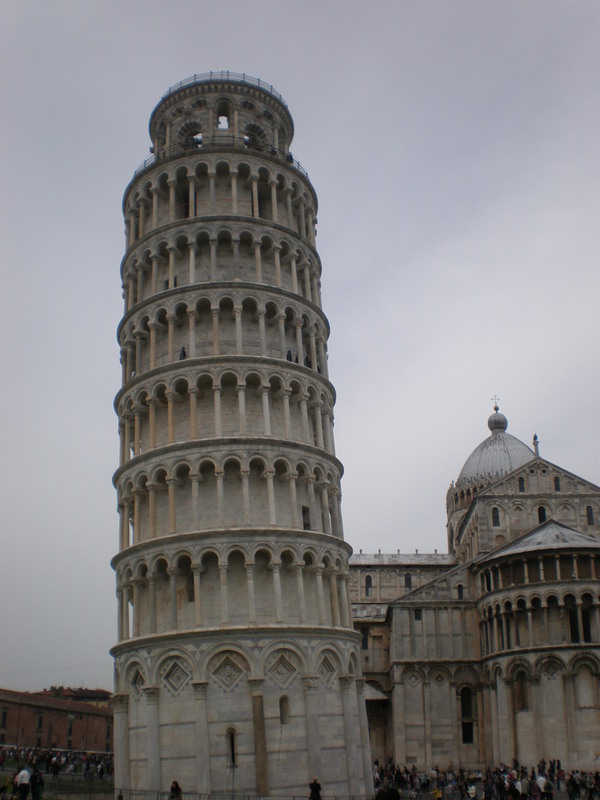 What do you think about the Leaning Tower of Pisa? We decided as a family that we all needed to see Pisa and the tower, but wish we’d spent more time in nearby Lucca. 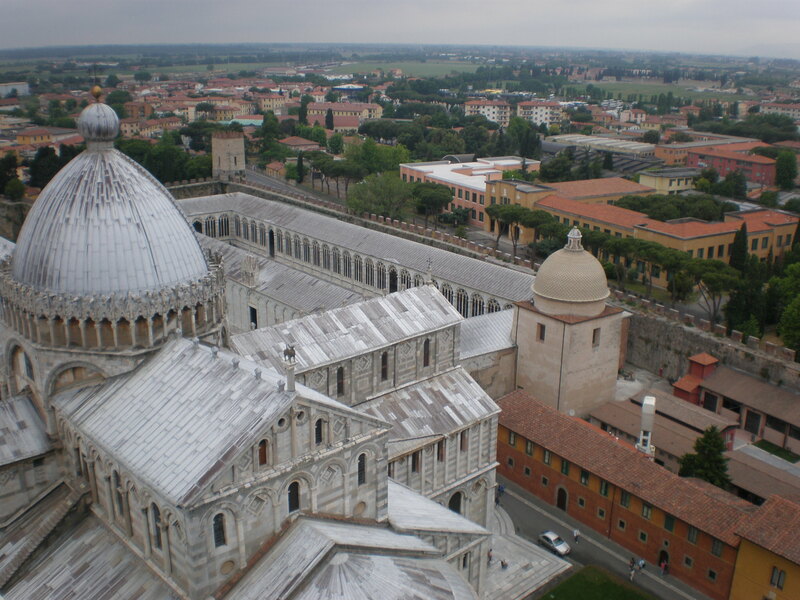 Beyond The Field of Miracles, Pisa was NOT my favorite place. The architecture is amazing though. Thanks for sharing with #FarawayFiles! I always find tourist attractions so tricky. They can be such a hit and miss! Thanks for giving such a wonderful information about Pisa. It is very helpful for every traveler. I think you’re absolutely spot on with this Tanja! I knew nothing about Pisa other than it has a leaning tower! This is an inspiring post. So Pisa is going on my bucket list! I am making plans for our Mediterranean cruise and will only have a short time in this area. I chose to do the 9.5 hr. excursion which gives us 4 hrs. in Florence and 1 hr. in Pisa. I just had to see the Leaning Tower since we were going to be so close to it. I may never be in this area again! Loved your post and pictures. It was so helpful in planning our time in Pisa. Your post made me feel very confident about our decision to choose the excursion with only 1 hr. in Pisa and more time in Florence. Thanks! It’s a pretty place and there are so many towns to visit in the area as well. Is one of those destinations you have to visit once in a lifetime. Beautiful pictures….thank you so much! I never really knew what to make of Pisa, as it seemed like such a tourist trap. But your article is actually really insightful about what it is and what it isn’t. Thank you.